Mikki and I worked together at the juvenile department. She was a supervising case worker; I was the front desk receptionist. As the person at the bottom of the command chain, I took orders from everyone, and Mikki seemed to issue them the most. She was impatient and gruff, hardened by years of working with dysfunctional families, along with her own personal disappointments. Throughout her career, she had seen it all. On the other hand, as a young idealistic woman, I approached life with a fresh and hopeful perspective. It’s sad to say, but the one thing I learned from Mikki was how not to communicate. Many days I would come home from work in tears because of her harsh comments. I would pray, asking God to help me respond with kindness and grace no matter what, that somehow my communication would make a difference. Today I am grateful for Mikki, because by her negative example she taught me about the importance of leaders communicating with grace. The verse in Colossians gives us instructions for grace-filled communication. Let your conversation be always full of grace. 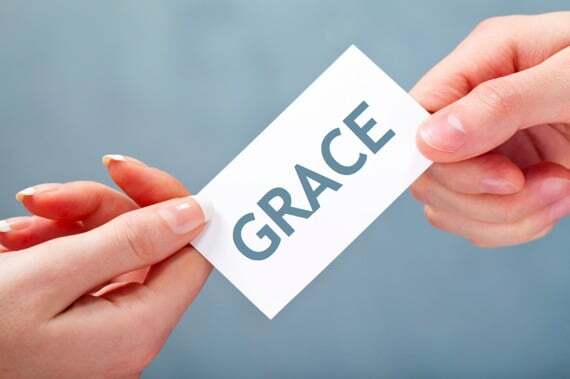 In the New Testament, the main word for grace is charis, meaning unmerited favor. Our speech must always reflect value and respect even when it is not deserved or earned. We must grant favor to others with our words. In addition, will others know that we follow Jesus by the way we speak? Our conversations should reference the grace of God through Jesus Christ that is extended to all people. Seasoned with salt. For thousands of years, salt has played an important role in the preparation and preservation of food. It enhances the flavor, texture, and color causing us to want to eat more. It also makes us thirsty. Whatever the topic, our speech ought to be fresh and inviting. The way we express ourselves must be full of spiritual flavor, causing others to be desirous, hungry, and thirsty to hear and know more. So that you may know how to answer everyone. Grace-filled communication addresses the needs of others not ourselves. We seek first to understand others and not make assumptions. By identifying and learning about their frame of reference, we can tailor our words and approaches to appropriately meet the occasion. Years later I ran into Mikki and I hardly recognized her. There was a softness about her that I hadn’t seen before. She shared that shortly after I resigned from the juvenile department, she had given her life to Christ. She couldn’t stop thinking about me. No matter what she had said or how she had treated me, I continued to respond with kindness and respect. Because my conversation was full of grace, she wanted to know more about this Jesus I had talked about. Wherever we serve, grace-filled communication makes a difference. How can you add more grace to your conversations?